Shakaloha.de as part of Shakaloha B.V., established at Sumatrakade 1017, 1019 RD in Amsterdam, is responsible for the processing of personal data as shown in this privacy statement. In this privacy statement we explain which personal data we collect and use and for which purpose they are used. - Data from persons under the age of 16. Our website and / or service does not intend to collect data about website visitors who are younger than 16 years old. Unless they have permission from parents or guardians. However, we cannot check if a visitor is older than 16. We encourage parents to be involved in the online activities of their children, in order to prevent data about children being collected without parental consent. If you are convinced that we have collected personal information about a minor without this permission, please contact us at shakehands@shakaloha.com and we will delete this information. - To analyse your behaviour on the website in order to improve the website and to tailor the range of products and services to your preferences. Shakaloha B.V. takes decisions based on automated processing on matters that can have consequences for people. These are decisions taken by computer programs or systems, without a person (for example a Shakaloha B.V. employee) in between. 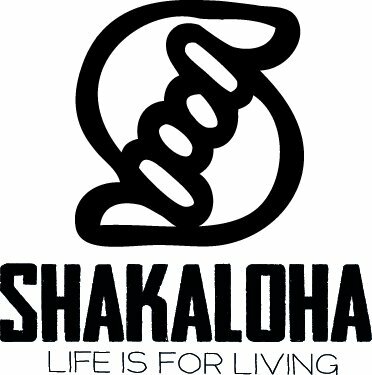 Shakaloha B.V. uses the following computer programs or systems: Automatic payment- and shipping systems for the payment and delivery of the order. We do not store the data longer than necessary. This means that we keep the data for as long as necessary to deliver the service you have requested and in doing so we use the retention period that is customary in our industry. We also take into account legal obligations that may require a different storage period. Shakaloha B.V. shares your personal data with various third parties if this is necessary for the execution of the agreement and to comply with any legal obligation. With companies that process data in our assignment, we conclude a data processing agreement to ensure the same level of security and confidentiality of your data. Shakaloha B.V. remains responsible for these processing operations. In addition Shakaloha B.V. provides your personal data to other third parties. For example, we use a third party for the processing of payments in our webshop and we pass on your details to the mail deliverer to deliver the order to you. Shakaloha B.V. uses functional, analytical and tracking cookies. A cookie is a small text file that is stored in the browser of your computer, tablet or smartphone when you first visit this website. Shakaloha B.V. uses functional and non-funtional cookies (see our Cookie Statement for further explanation). These ensure that the website works properly and that, for example, your preferred settings are remembered. These cookies are also used to make the website work well and to optimize it. In addition, we place cookies that keep track of your browsing habits so that we can offer customized content and advertisements. On your first visit to our website we ask you via a pop-up notification to give permission for placing cookies. You can then choose not to give this permission. You can also use our website without giving this permission. You can also opt out of cookies by setting your internet browser so that it does not store cookies anymore. In addition, you can also delete all information previously saved via the settings of your browser. Cookies are also placed on this website by third parties. These are for example advertisers and / or social media companies. Think for example of companies like Facebook and Google. You have the right to view, correct or delete your personal data. You also have the right to withdraw your consent to the data processing or to object to the processing of your personal data by Shakaloha B.V. and you have the right to transfer your data. This means that you can submit a request to us to send the personal information we have in your computer file to you or another organization mentioned by you. You can send a request for access, correction, deletion, data transfer of your personal data or request for cancellation of your consent or objection to the processing of your personal data to shakehands@shakaloha.com. To ensure that the request for access has been made by you, we ask you to send a copy of your ID with the request. Make your passport photo, MRZ (machine readable zone, the strip with numbers at the bottom of the passport), passport number and citizen service number unreadable in this copy. This is to protect your privacy. We respond as quickly as possible, but within four weeks, at your request. Shakaloha B.V. takes the protection of your data seriously and takes appropriate measures to prevent misuse, loss, unauthorized access, unwanted disclosure and unauthorized modification. If you have the impression that your data is not properly secured or there are indications of abuse, please contact our customer service or via shakehands@shakaloha.com. We take appropriate security measures to limit abuse of and unauthorized access to your personal data. In this way we ensure that only the necessary persons have access to the data, that access to the data is protected and that our security measures are checked regularly.